Simple to use and loaded with features to help you create, cut and engrave your own design on any monument surfaces! 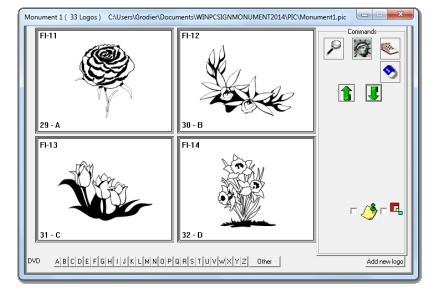 WinPCSIGN monument includes 340 vectorial designs specialized for monument ready to be cut. Browse the library, create your design and cut! You can even create your own shapes using our powerful & easy to use vectorial creation tool or import vectorial design purchased on the WEB. Even if you are not computer savvy or if you don't have the artistic skill of a graphic design this easy to use software will allow you to create your own masterpieces. Import your files from the most popular software like Monu-CAD, Adobe Illustrator, Corel Draw, Inkscape and other vectorial softwares is easy as 1 2 3. 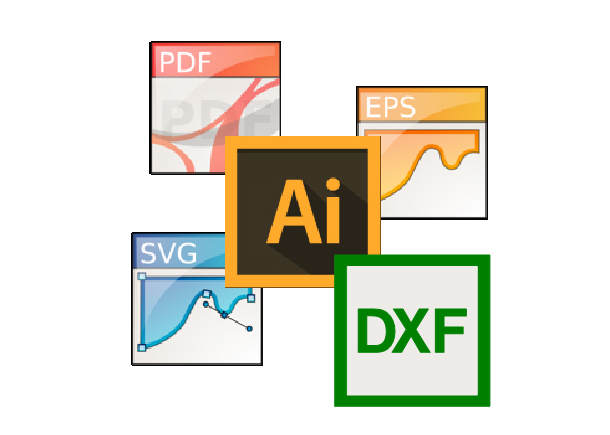 You can even import any DXF, AI, EPS, SVG, PDF files purchased or downloaded from the WEB or from any clipart DVD. 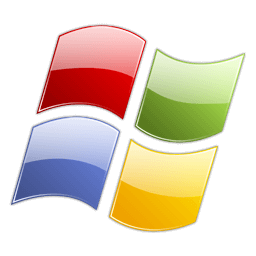 WinPCSIGN Monument is also compatible with the most popular image formats like Jpeg, Gif, Bitmap, Png. 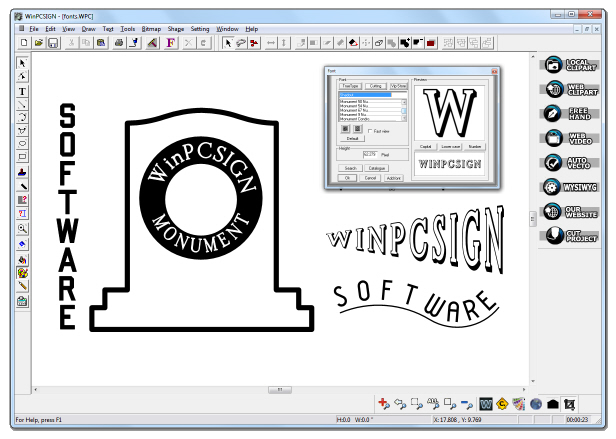 WinPCSIGN Monument lets you leave your mark by letting you create really fine details. 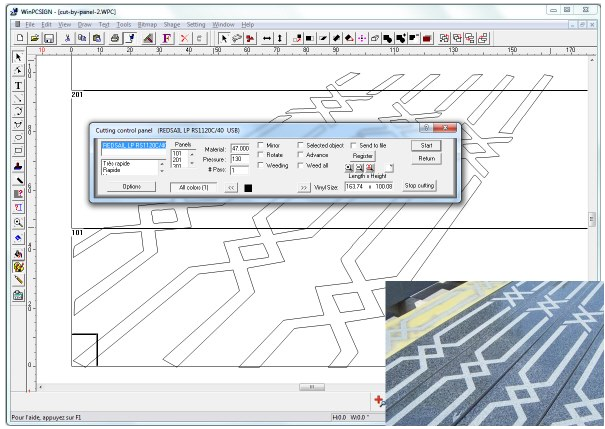 This software even cuts projects that are larger than your stencil material by automatically creating separate panels that are later pieced together. We also think about the environment and have included a great feature that will limit waste cut and make you save on material by cutting the stencil to the size of your project. 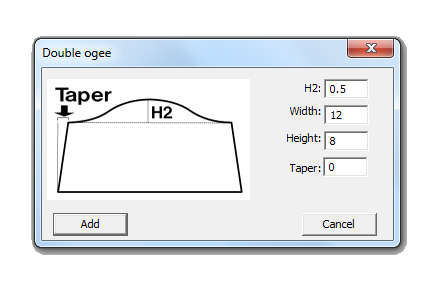 We have designed stunning monument features that will allow you to easily create ogee & taper. We have also created specialized fonts optimized for the monument industry and we have added real rock texture and monument vectorial shapes. All these features will allow you to create great job previews for your customer in no time. Create beautiful texts with our text edition tools. Compatible with all windows fonts and true type fonts that you can purchase or download from the Internet. You can even create your own fonts using WinPCSIGN fonts creation tools! Work perfectly with Latin, Asian, Russian & Middle Eastern language to deliver international contextual accuracy. 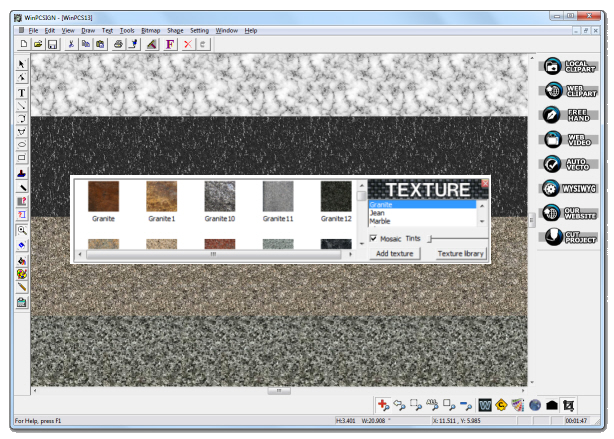 Use real stone textures or create your own textures. Perfect for creating a real life preview for your customer. Not only does design preview influence the behavior of your customer, it also drives perceptions. A great feature to drive customer loyalty and improve customer retention. Let WinPCSIGN Monument do the hard work for you. Convert any image from your computer or from the internet into a ready to cut project! 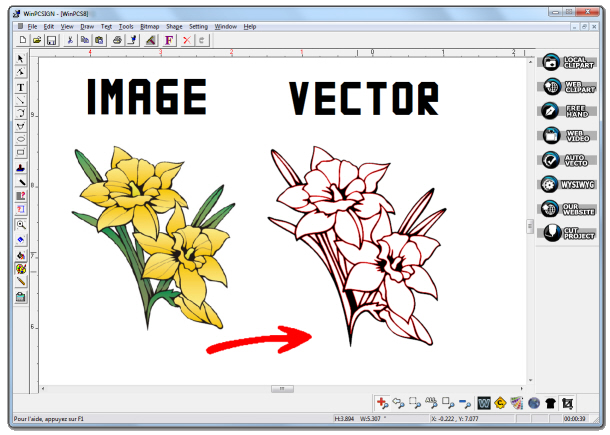 Automatically transform, black & white or color images, like JPEGs, GIFs and PNGs into crisp, clean and scalable vector file. 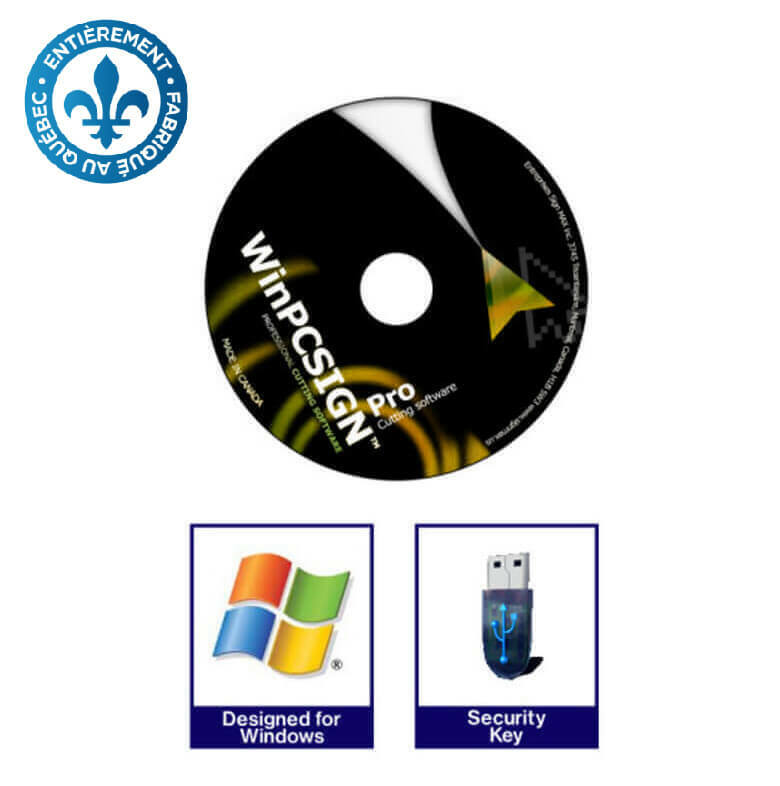 WinPCSIGN MONUMENT software package include a software manual, an installation CD & a dongle key. The usb dongle key is a security device that will allow you to run WinPCSIGN safely without the need to connect your computer to the Internet.